Castlebar is a town in the County of Mayo, Ireland. The town is linked by railway to Dublin, Westport, and Ballina. 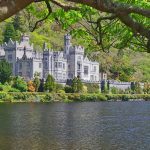 It is centrally located in an area rich in heritage, history, scenery, and tradition and it is the perfect base if you want to explore one of the few unspoiled areas of Ireland. 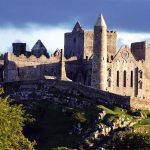 The town also offers a great variety of activities in exciting locations so here are the unique things to do in Castlebar. 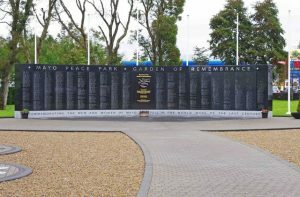 The Mayo Peace Park in Castlebar commemorates all those who died in world wars. 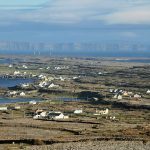 It is a project to document people from County Mayo who lost their lives in the major world wars and conflicts of the past century. It was developed to remember a forgotten generation of brave heroic local people from every town and village of the county. Lough Lannagh is a beautiful lake in Castlebar. It has walking trails for visitors where one can enjoy a quiet afternoon. It is a popular picnic area for local families and a recreational haven for young and old as well. Croaghmoyle is a great place for an easy hill stroll. There is a road all the way and one can enjoy the great view of the Nephin Begs mountain range from the top. It is an 8-km easy hike and can be done in 2 hours. The Museum of Country Life is located in Turlough village just 8 km northeast of Castlebar. It is housed on the spectacular grounds of Turlough Park amid magnificent gardens and an artificial lake. 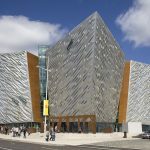 It was established in 2001 as part of the National Museum of Ireland and is the only national museum outside of Dublin. The museum is home to national folklife collection and the story of Irish country life between 1850 and 1950 through an innovative combination of artifacts and displays, archival video footage and interactive screens. The Royal Theatre is the leading entertainment venue in the West of Ireland. It hosts top music global artists, theatre and major events. It has a capacity of 1500 people. 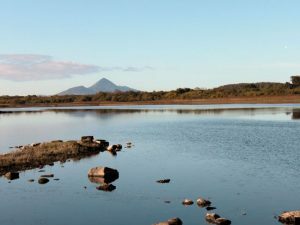 Castlebar International Four Day Walks was set up in 1967 to encourage people to leave the stress of town life behind for a few days in order to walk and rediscover the bogs, rivers, mountains and unspoiled beauty of the countryside. The festival continues to grow in popularity with more people joining every year. The walks are non-competitive and are geared to suit people of varying levels of fitness. If you cannot spare four days, you have the option of joining in for one, two or three days of walking. Admission Fee: To learn more about the admission fee, click here. Located on the Mall, the church was completed in 1739 and renovated between 1800 and 1828. This is one of the most important historical monuments in Castlebar. The plaque just inside the main gate is the only contemporary record extant of the 1798 period. 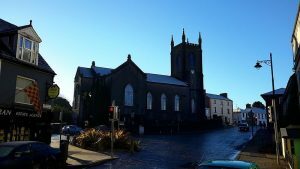 The church’s interior has an excellent record of Castlebar history from 1590 to 1914 through its plaques.